There were two huge lines at Texas Monthly's 2014 TMBBQ Festival in Austin on Sunday. The first was a queue of fans lined up for the general admission entry; the other held a throng of VIP ticket holders who had already filled up the Franklin Barbecue line. Yes, even fancy curated festivals have a Franklin line. However, because Franklin was in the company of so many great pitmasters, guests could pass him up and not feel cheated. (Not many did, though.) As Dale Watson played a lively set on the lawn, 'cue enthusiasts consulted their maps and made haste for the magazine's top tier of barbecue: Pecan Lodge, Louie Mueller, Franklin and Snow's were all in attendance. Sometimes the simple plates are the best ones. Pecan Lodge has done off-menu specials in prior years but dialed in on brisket (both fatty and lean) for this year. The results were phenomenal: Our cut had perfect fat and great moistness, and while it teetered just on the edge of the done side, it was an undisputed work of greatness. 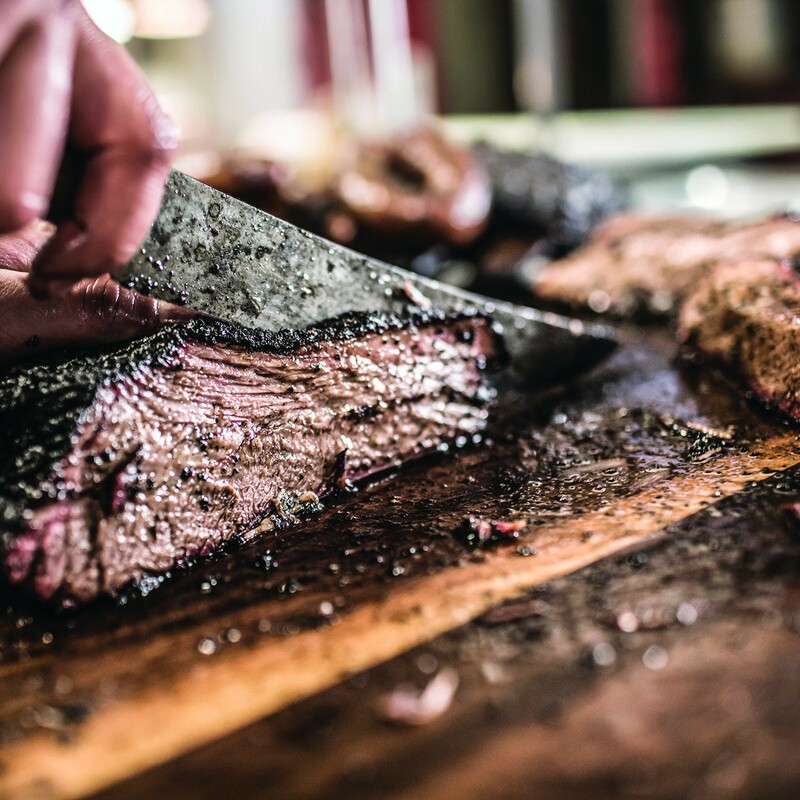 The first family of Dallas barbecue showed that the hype is still well-deserved. Perhaps it was the home-field advantage, but La Barbecue's trifecta of lean brisket, fatty brisket and pulled pork showed how good the joint has become. All three meats were superb. The brisket had a beautifully rendered fat and was simply flawless; even the lean piece was packed with flavor. The pulled pork was moist and had both a great vinegar tang and some bits of delicious fat in the mix. 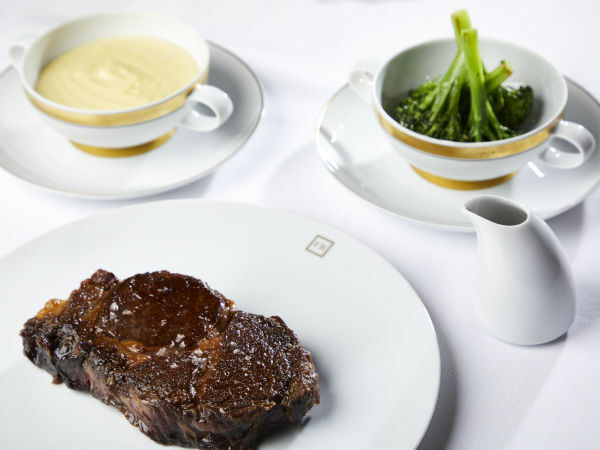 It's no wonder that the legend (and line) continues to grow as John Lewis, Ali Clem and their team keep producing otherworldly meats. Miller's brisket had the best crust of any we tried. When we asked how they did it, co-owner Dusty Miller produced a jar of dry rub composed of salt, paprika, sugar, garlic, onion, celery and turmeric. It was cooked perfectly. 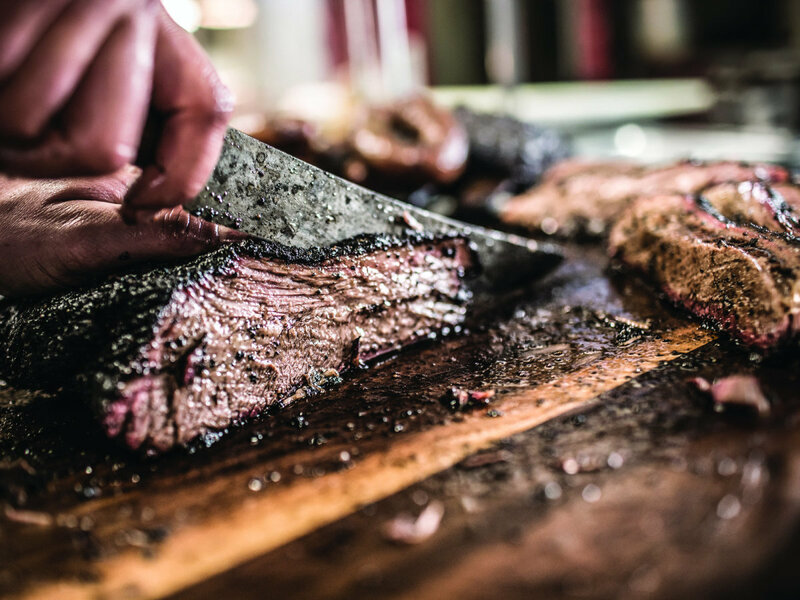 He also said the smokehouse prefers the Central Texas German style of 'cue, and the craft was evident. Lamberts did an excellent, traditional three-meat plate. We particularly enjoyed the vinegar-heavy pulled pork, which (along with La Barbecue) was the best version we ate at the event. The star of the table, though, was chef de cuisine Reid Guess' whole Black Angus short rib with a cilantro and scallion slaw topped with Red Boat fish sauce. The dish was the biggest surprise of the festival, and both the sauce and the slaw highlighted the meat. The crunch of the slaw helped reset one's palate for the dish, which was no easy feat at this meaty event. Guess said he brought the dish because it was a crowd favorite from the current Lamberts menu. "Whenever we sell the first one of the night, we almost immediately get 10 more orders. 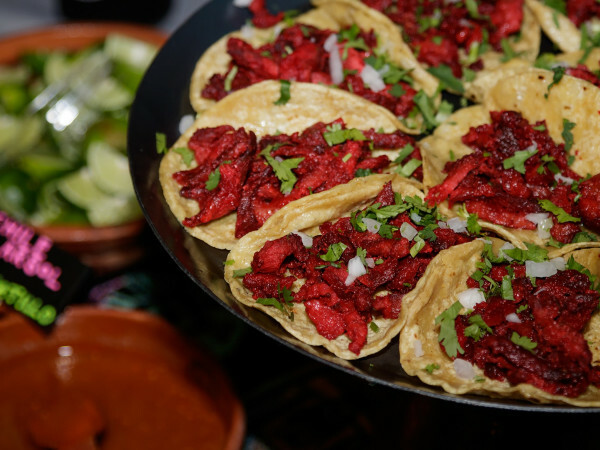 People see the dish and the color and texture, and then every table orders one." When we complimented Tim Hutchins on the restaurant's jalapeño sausage, he said the secrets were simple. "We use 60 percent beef, which we get from our trimmings, and 40 percent pork butts. Then we throw in fresh jalapeño. The only trick is doing it fresh daily instead of in bigger batches." The resulting sausage somehow balanced spice, smokiness and cheese with great snap and a distinct point of view. Hutchins also served a sweet treatment on the St. Louis rib that was an excellent version of that style. Lockhart Smokehouse scored high for creativity in presentation. Rather than doing a standard plate, the restaurant doled out boats of various single and double meat combos and let diners pick what they wished to sample. The variety of products on offer was great (there was smoked pig's head), and everything we sampled was first-rate. 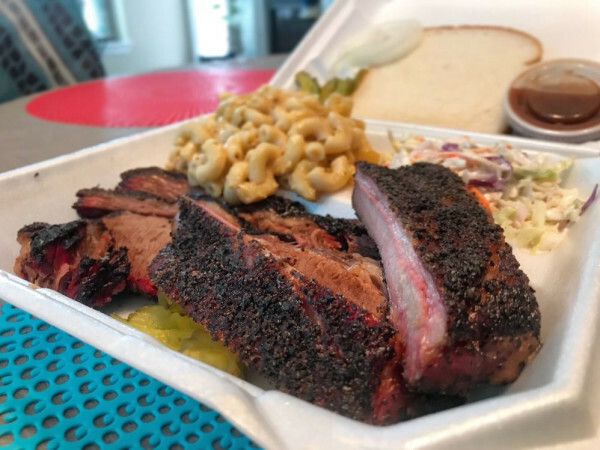 In a field full of talented newcomers, Buzzie's brought out the best all-around, old-school barbecue plate. Nothing was showy, but everything was flavorful, moist and done with care. It was impressive enough on the whole to make a trip to Kerrville advisable. It's worth noting that these were our favorites, but opinions varied. With so much to eat and limited stomach space, each guest invariably sampled a different selection of dishes. Although we sampled roughly half of the offerings, there was simply no way to get through it all. As such, we missed Franklin (due to the line), Stiles Switch, Opie's, Black's and some other great 'cue because we'd reached our limit. But there's always next year.